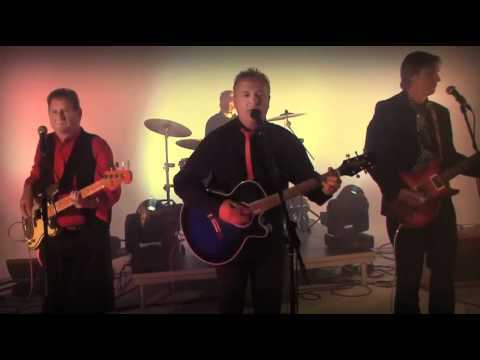 The Lodgers have been on the musical map for over 15 years and in that time have earned a reputation as a talented, reliable and fun choice for all kinds of events from weddings to corporate and private parties. The classic line up of two guitars, bass and drums (it was good enough for The Beatles!) coupled with outstanding 3 part harmonies, results in a vibrant, versatile variety of songs carefully chosen from the 60's to current chart hits. Their rock solid performances come from years of performing together and have endeared them to satisfied clients all over the country. Don't put the success of your wedding in the hands of boys. The Lodgers have served their time and as a result are one of the slickest and most polished bands in Edinburgh. They come complete with a high quality sound system and lighting, are well presented and easy to work with. They've played at venues such as the EICC, The Assembly Rooms and The Corn Exchange along with regular gigs in The Jam House and at countless weddings and private functions. What makes a great wedding or party band is the ability to play music that suits the entire audience. This is where The Lodgers excel. Not only do they have the songs at their disposal to make sure everyone is happy, but they are experts at reading a crowd and knowing when it's time to change styles for little while to make sure that everyone's taste in music is catered for. This is something you can only learn over many successful events and is just one of the reasons The Lodgers are loved by so many people. The Lodgers deliver great entertainment time and time again. We think they are outstanding and so will you. Get an instant quote and availability check for this brilliant band by filling in the quick enquiry form. 38.Losing My Religion - R.E.M. 65.The One I Love - R.E.M. Music was fantastic! A very talented bunch of guys. Got the party going and kept it going. Maybe could have been better at announcing things like when the buffet was ready, where it's being served and encouraging people to use the photo booth etc. The band were excellent on the night and all seemed like really nice guys and would recommend them in the future. We also found the Hireaband website to be extremely helpful, easy to use and would also recommend. Truly was brilliant! The band were exactly what we wanted, got everybody up and dancing and made the night! Was a great party. (would recommend The Lodgers!) The pianist, Chris Connolly, was excellent. Played everything we wanted; would recommend too. All in all Hire a Band offered us a great service! Thank you for making our wedding day special. Service was excellent and hastle free. I would recommend your services. Please pass on our regards to the band for a fantastic evening. we will also be recommending them to family and friends for any future events. We loved The Lodgers - they are great band and have a huge amount of talent. The band offered a great range of music which got everyone up to dance. They really helped make our wedding and we can not thank them enough!